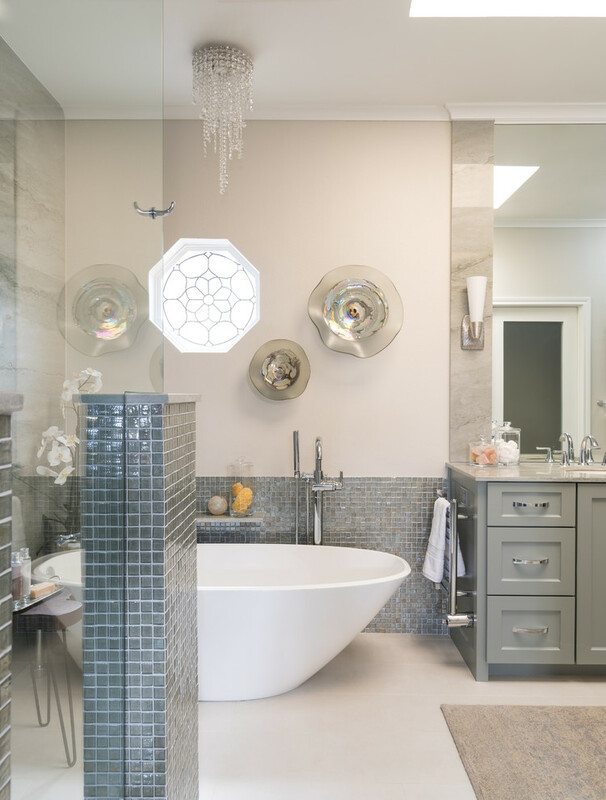 FIRST PLACE MASTER BATH OVER $50,000/ ASID DESIGN OVATION AWARD! 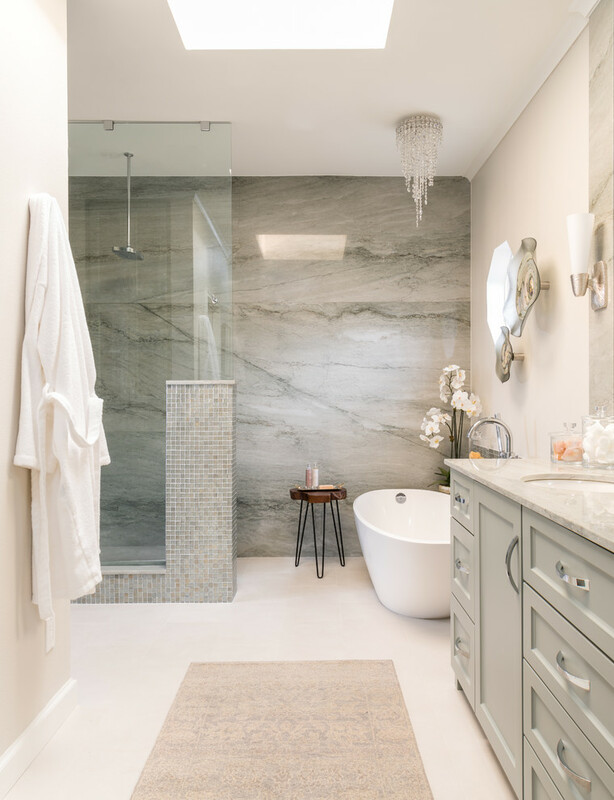 In addition to a much-needed update, the clients desired a spa-like environment for their Master Bath. 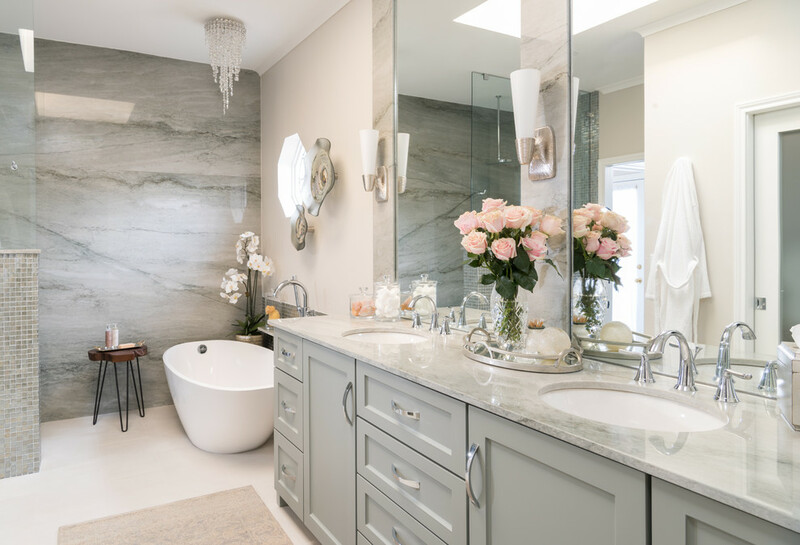 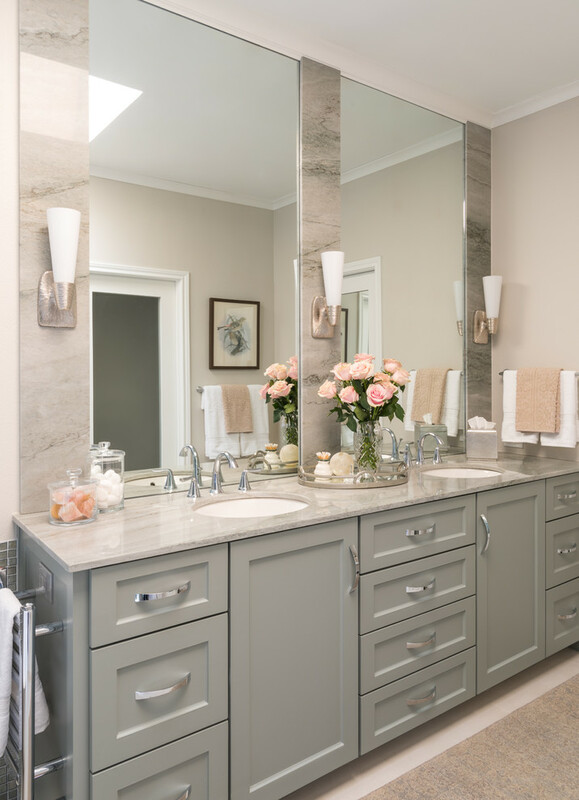 Sea Pearl Quartzite slabs were chosen as the inspiration for this color scheme and used on an entire wall and vanity. 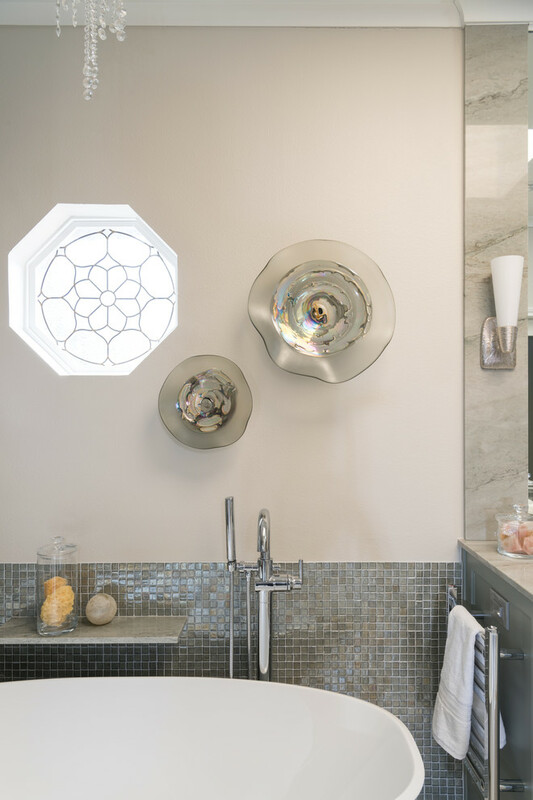 The toilet was enclosed and a frosted glass French door installed. 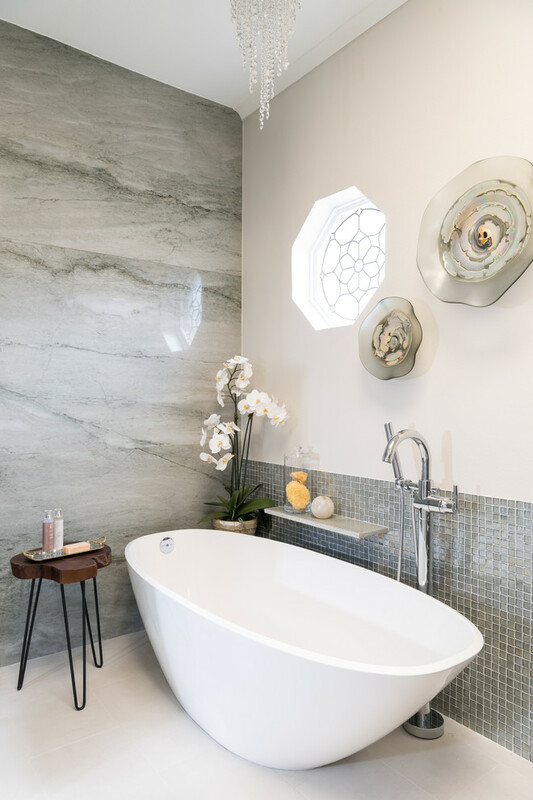 The large built-in corner tub was replaced with a free standing 5-foot soaking tub. 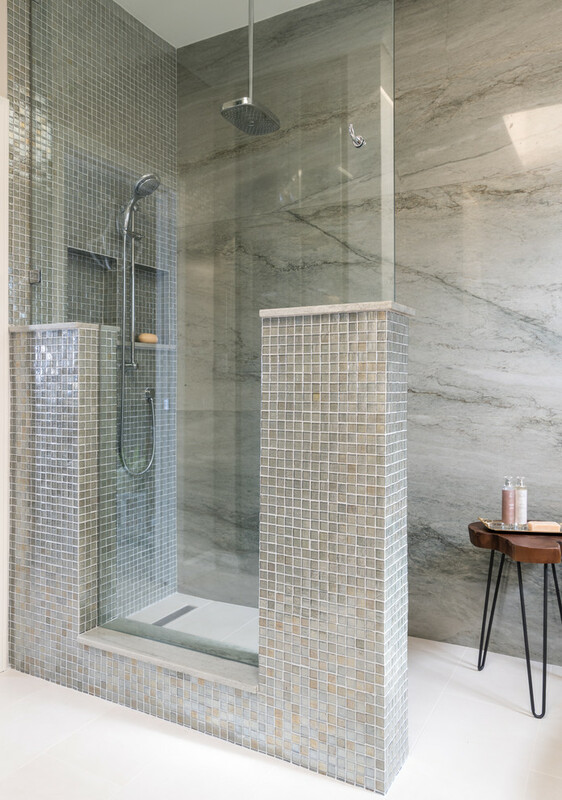 The narrow shower, left open facing the tub, a linear drain and curb less, as well as frameless glass create a clean open space, showcasing the slab wall. 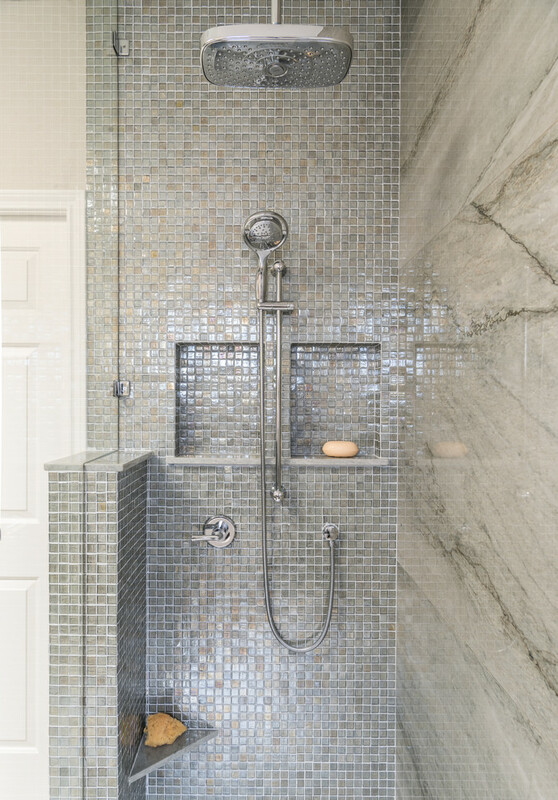 Half columns, designed to allow the controls to be located by the entrance to the shower were tiled in the same iridescent glass mosaic as the back wall of the shower and behind the tub. 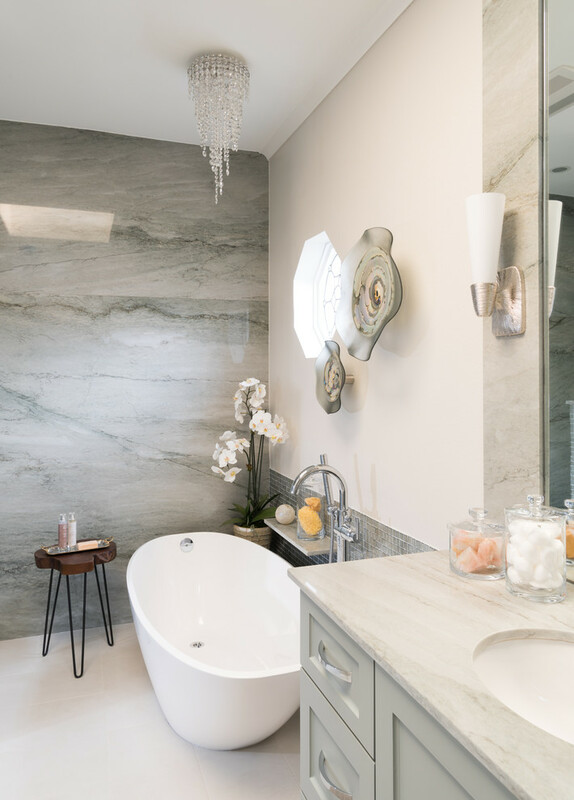 Additional luxury includes three stunning sconces flanking the mirrors, a crystal chandelier over the tub, the heated tile floor, towel warmers and a heated bidet.